Nintendo is giving families another option when it comes to purchasing the NES later this year. 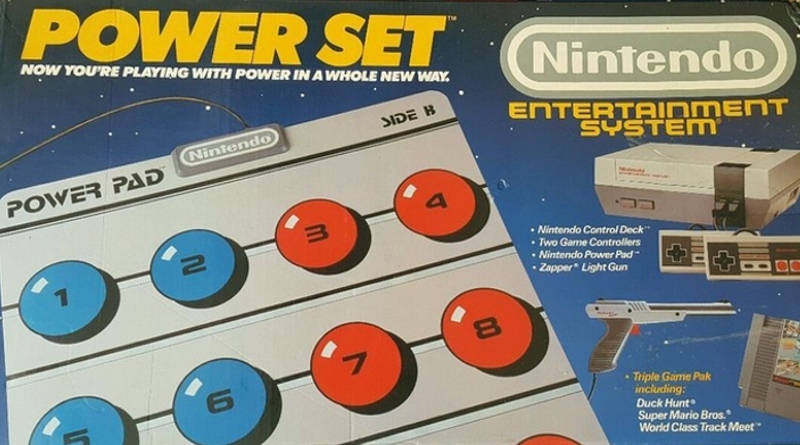 The Power Set contains everything the Action Set has (the NES Control Deck, 2 controllers, the Zapper, Duck Hunt and Super Mario Bros.) and adds in the brand new Power Pad and World Class Track Meet. All three games are included on a new triple Game Pak cartridge. The Power Pad itself is a redesign of Bandai’s Family Fun Fitness mat, which Nintendo has purchased the rights to. World Class Track Meet is a renamed version of Stadium Events, which has been pulled from stores due to this new deal with Nintendo. Introducing Nintendo’s first triple Game-Pak! The Power Set will have a suggested retail price of $179.95, but if trends continue and retailers sell it for less, you will probably be able to find it for $149 when it launches later this year. Delivery is said to begin in late August. Keep in mind that both Super Mario Bros. and Duck Hunt have been discontinued as standalone Game Paks, so the only way to purchase them is with this new bundle or the Action Set, which can readily be found for $99.95 at many discount stores like K-Mart and Target. With this new Power Set, Nintendo hopes to get kids and adults off the couch and active by playing with their feet. Players will have to run in place and jump in the air to get their on-screen characters to do the same. Nintendo has plans to release Dance Aerobics and Super Team Games alongside the system later this year.